With Games Workshop's recent release of "Betrayal at Calth" (which I'd really like to pick up at some point to start some Iron Hands), there's been some renewed interest in the good old XVII Legion. Sor Talgron looking badass in Neil Roberts's awesome cover for The Purge. 9. The Tallyman (short story). 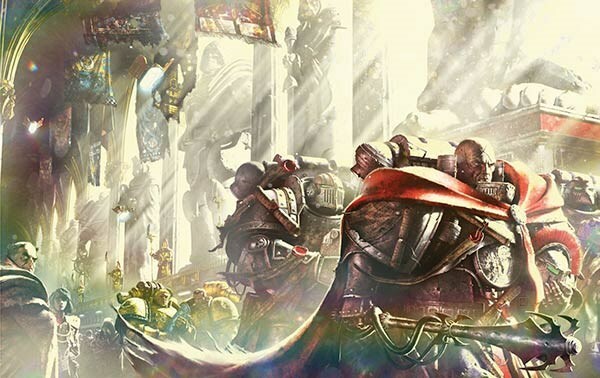 The stories fall into three groups: the Heresy stories, Marduk's main arc (Dark Apostle through to Torment), and the stories of what happens next (Vox Dominus and The Tallyman). I'd love to find some time to come back to Marduk at some point!